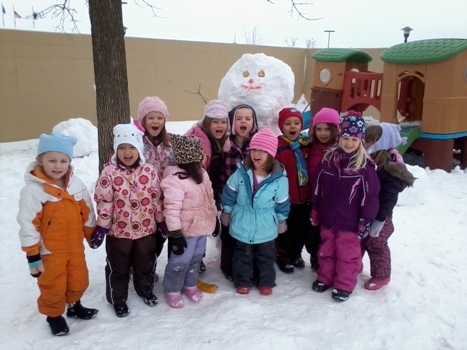 Wadena-Deer Creek Little Kids Club and Kids Krew works in cooperation with family, school and community to nurture the development of children and youth by providing a quality and enriching program that is fun, safe and accepts each child and builds on his or her strengths. Little Kids Club is a quality, extended-day child care program. We are located at the M State-Wadena campus for ages 16 months to 6 years of age. We provide enrichment opportunities for preschool-age children. We have unique ideas involving crafts, hands-on art projects, music, story time and much more. We have a caring teaching staff who provide a quality and enriching program for all the children. Our hours of operation are from 6 a.m. to 6 p.m.
We also have a before and after school program available. Kids Krew is located at the Wadena-Deer Creek Elementary School. We are open on most non-school days, and also during the summer months. On non-school days and summer, we are open from 6 a.m. to 6 p.m. We transport children to and from summer recreational activities, go on field trips, have access to the computer lab, gyms, outside play and crafts. We furnish nutritional breakfasts, lunch and snacks to all enrolled children.